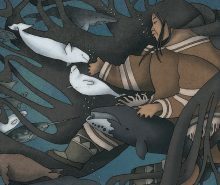 Kirkus Reviews reviewed The Fox Wife by Beatrice Deer, with illustrations by D.J. Herron. “. 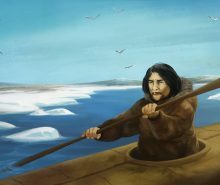 . .
Kirkus Reviews Putuguq and Kublu and the Qalupalik! CanLit for Little Canadians reviewed Takannaaluk, by Herve Paniaq with illustrations by Germaine Arnaktauyok.